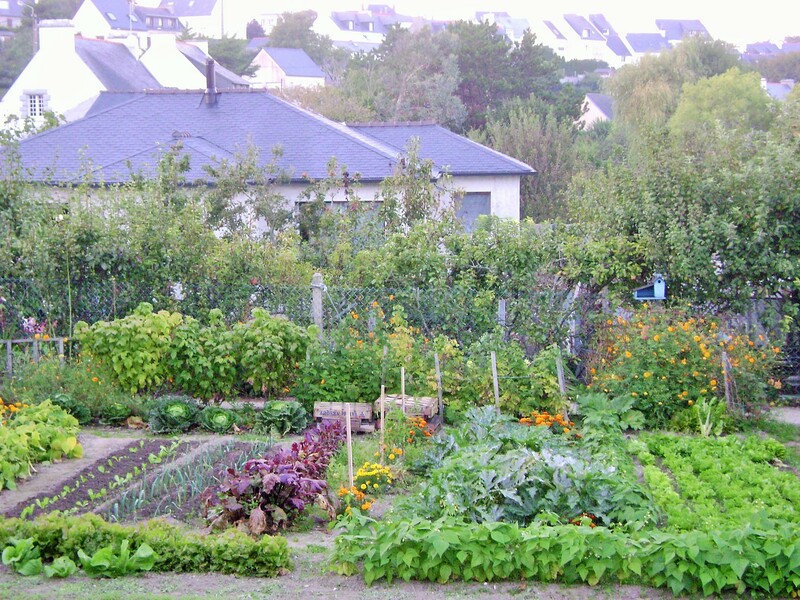 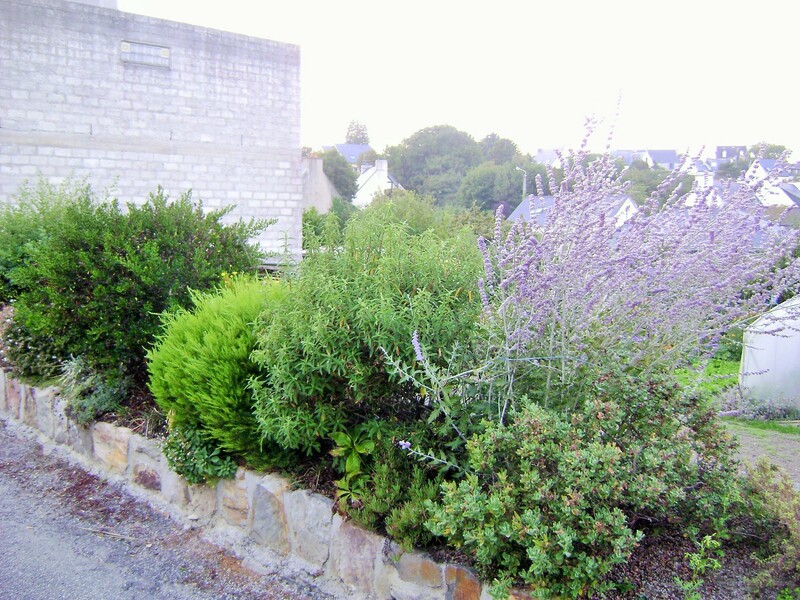 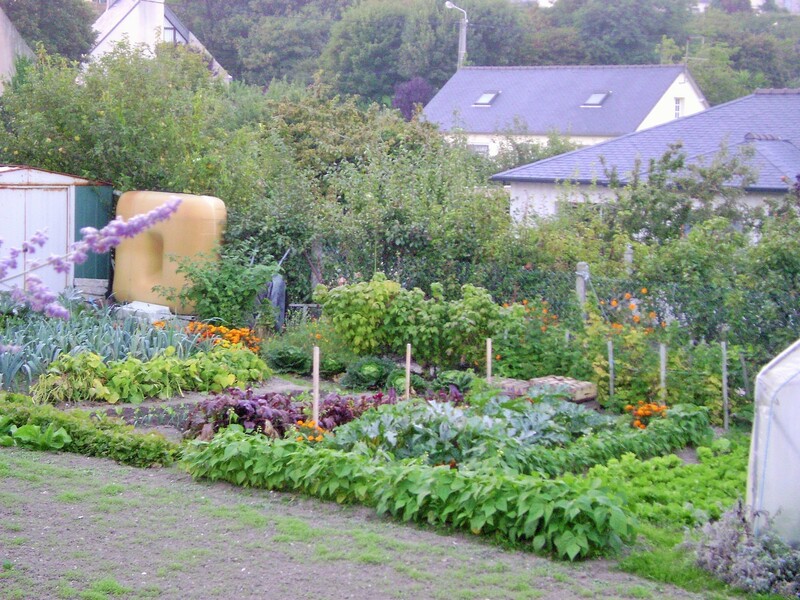 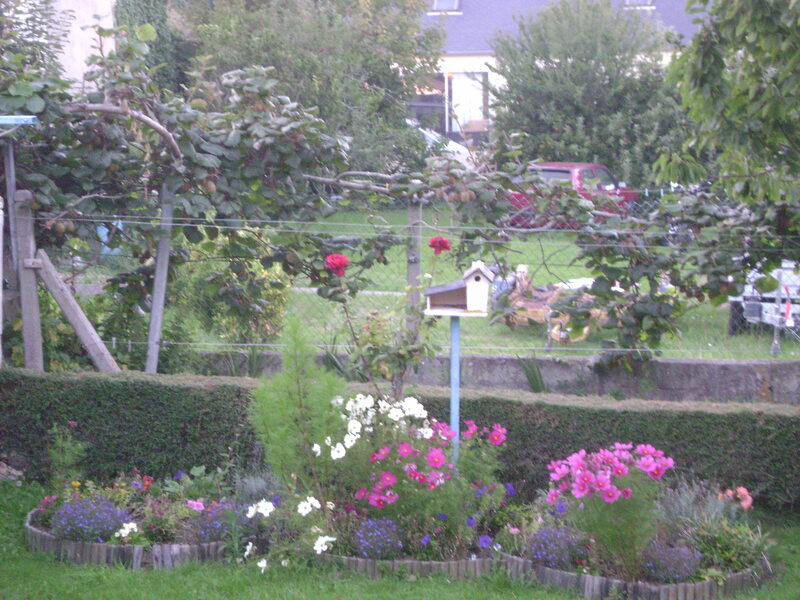 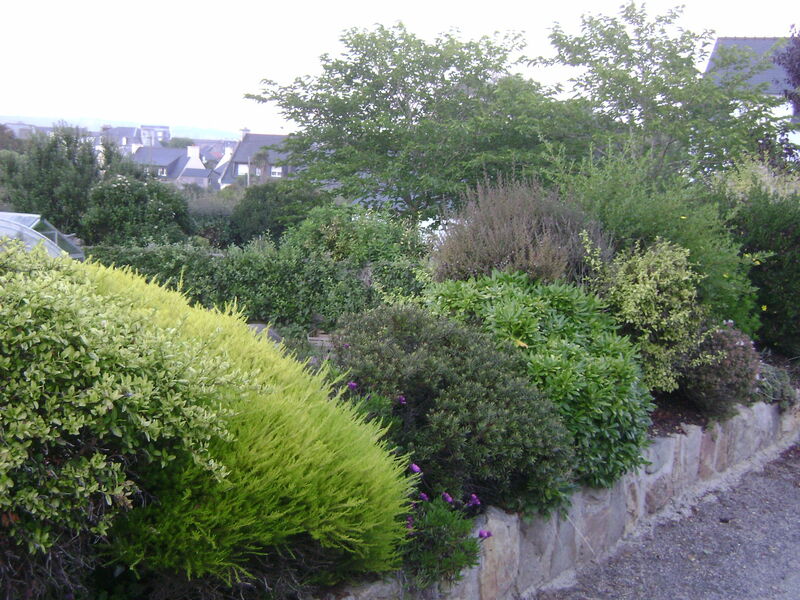 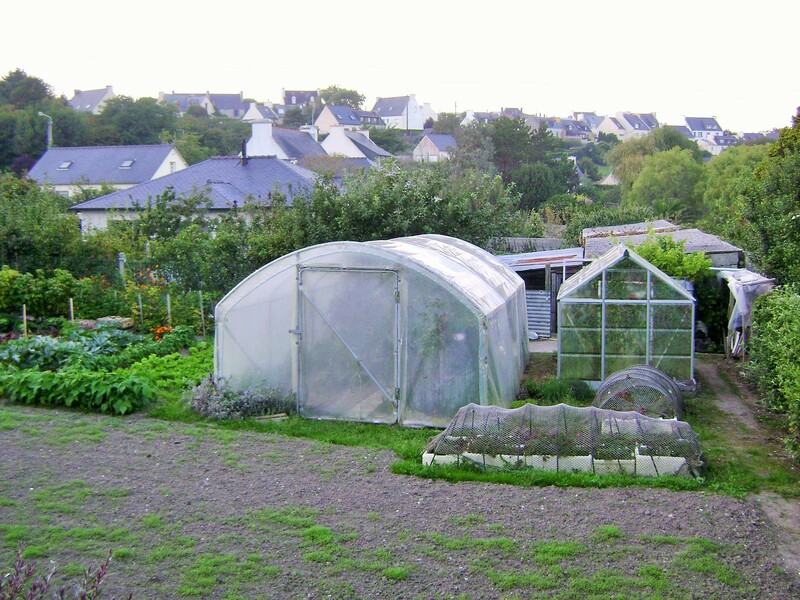 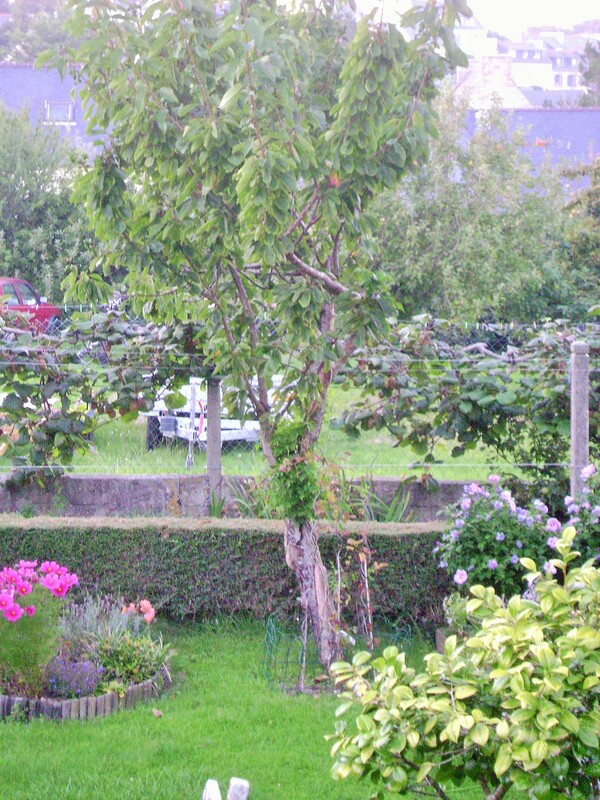 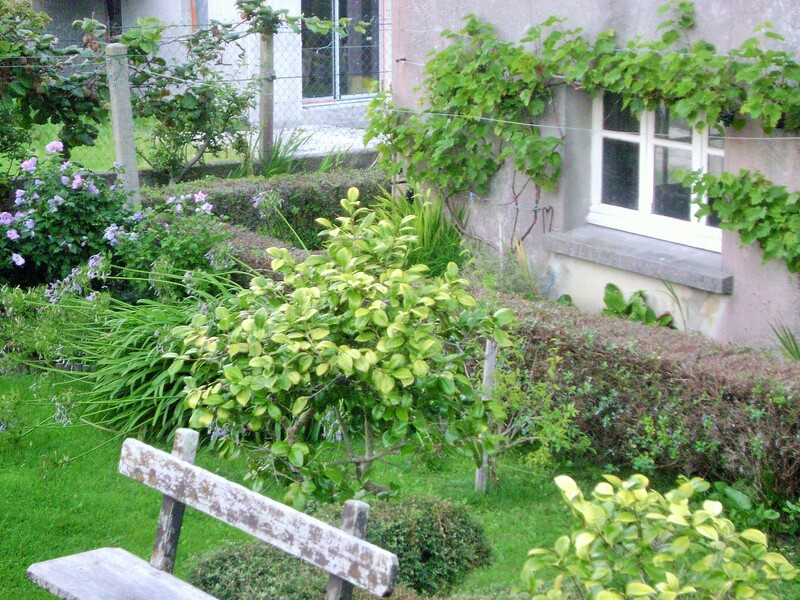 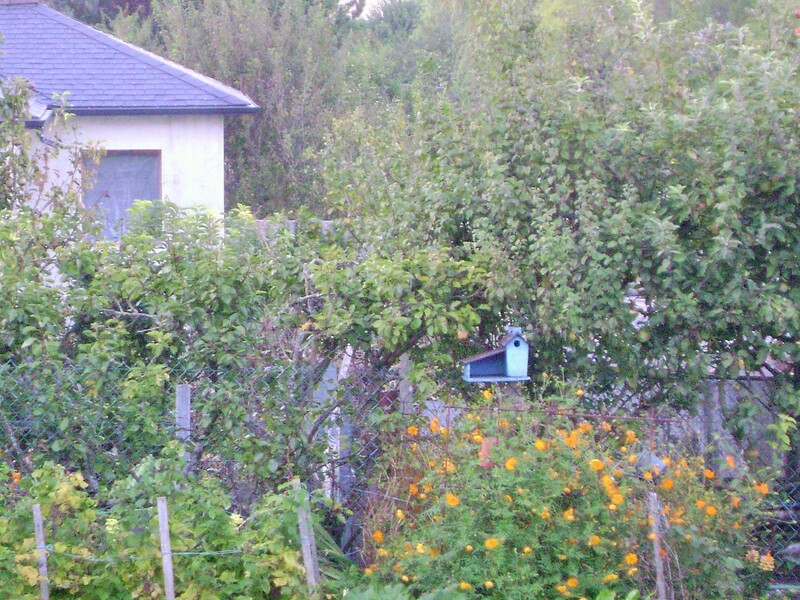 The elderly couple who owns the house tends this kitchen garden or “potager” as the French call it almost year round. 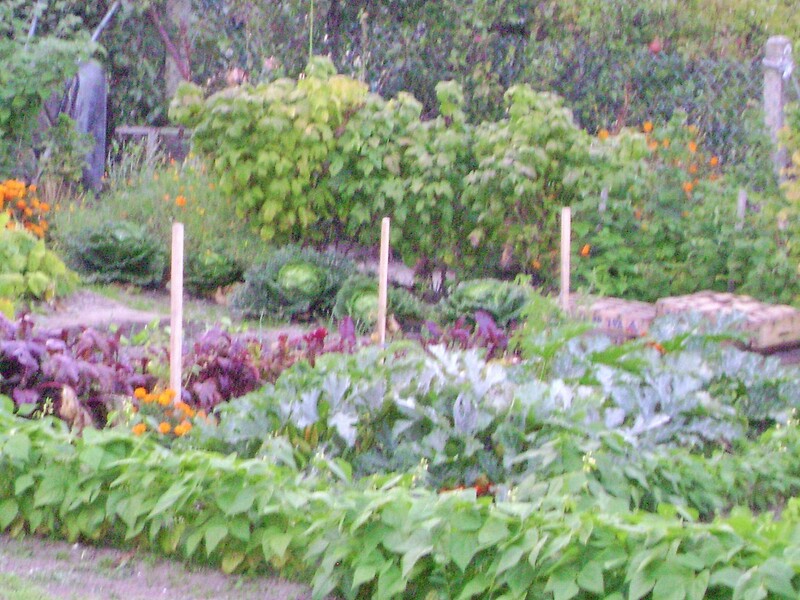 Come September, a cover crop is coming out to replace the potatoes in the center patch, and fall vegetables such as leeks, pumpkin and artichokes still fill the garden. 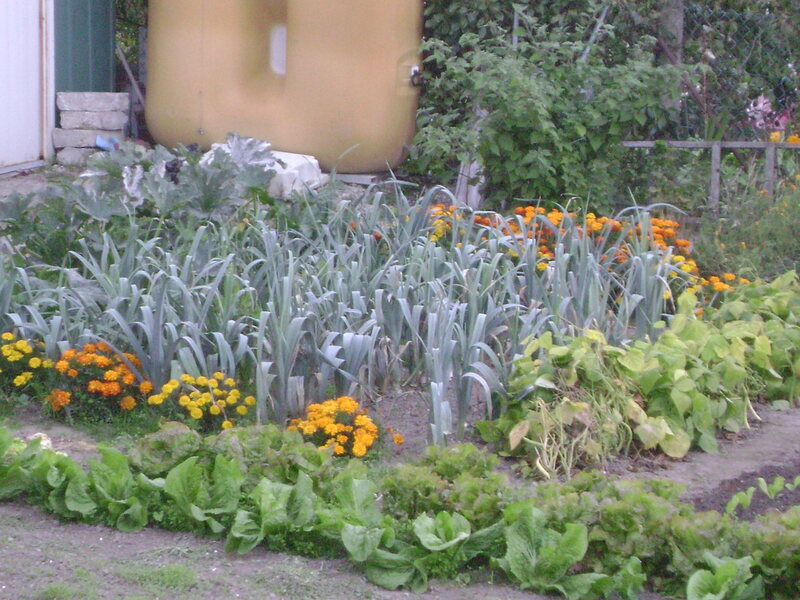 The marigolds at the end of the rows repel certain garden pests from the vegetables. 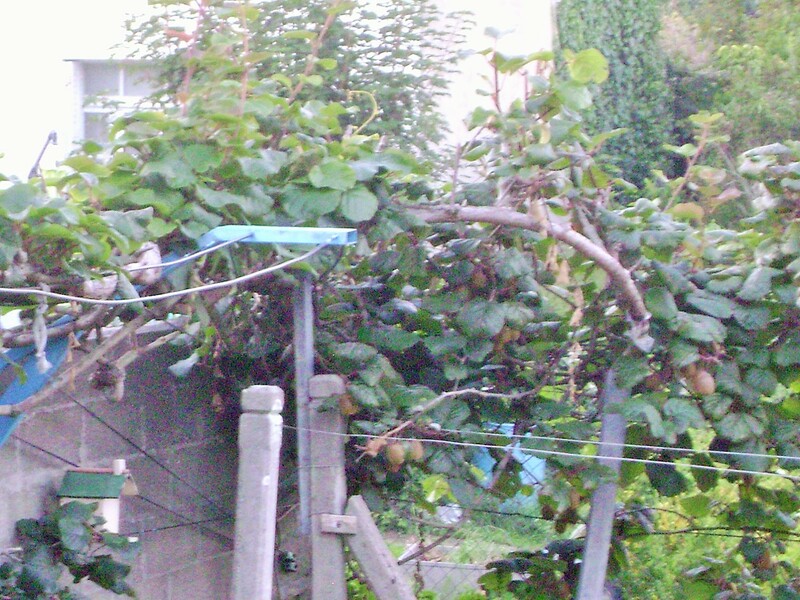 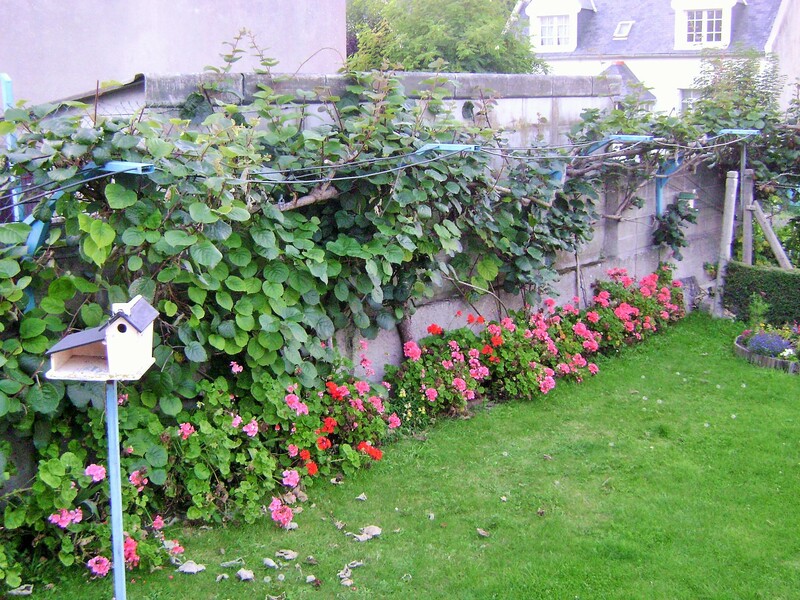 On the other side of the house, a row of kiwi vines, some over 30 years old, are trellised along the wall, and a garden bench offers a peaceful place to rest for a moment.